how to wear: sneaker wedges part III. How do you like this outfit? And which one did you like the most – part 1 (neon sweater), part 2 (dress), or now part 3 (marant-style)? 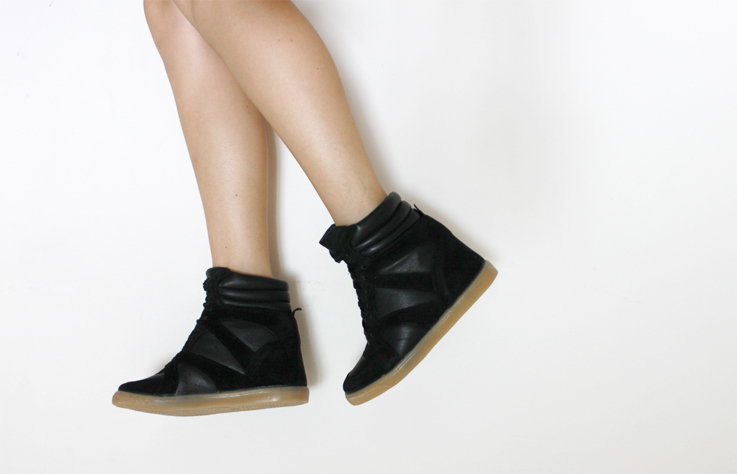 how to wear: sneaker wedges part II. kein fan von den Wedges. Aber obenrum tiptop 🙂 du solltest öfter rot tragen, passt so gut zu deinem tattoo. She puts together seems so effortless and true to herself. 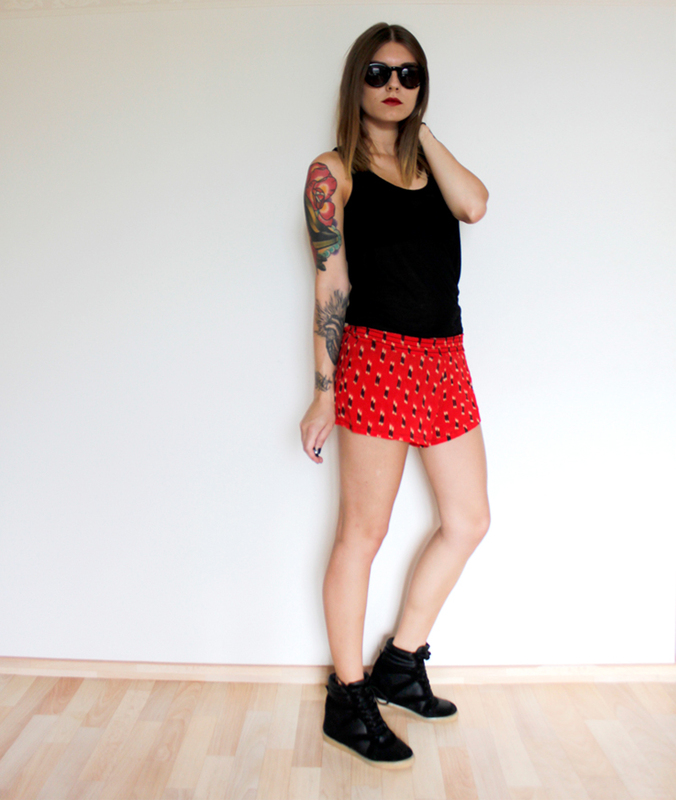 Ich liebe die shorts – farbe/länge/muster top! die wedges sind geschmackssache, an dir gefallen sie mir! This is such a cool outfit, you look beautiful!